Every reform was once a private opinion. 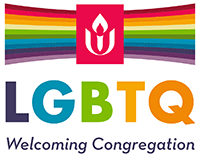 The Unitarian Universalist faith urges us to seek so far and so wide for meaning that we reach beyond the bounds of what is known and familiar to us. But just as there is reason to celebrate letting go, there is also reason to honor holding fast: living with a persistent commitment to something larger than oneself. What are you holding on to, that you need to let go of? What have you let go of, that you need desperately to pick up again?